Wedding DJs (read: people taking requests). This is the big one. You can tell, because when streaming site Pulselocker shut down, there were screams from people who were playing wedding gigs and suddenly lost access to their music. This isn’t just about a technological shift, either. As American music markets have fragmented and mainstream pop music has lost its hegemony – and as DJing and music consumption have become more global – the amount of music people might request has grown, too. Whatever you think of wedding DJs, you can imagine weddings as a place where global cultural and technological changes are radical and inseparable. And that’s good, because I don’t know about you, but if I have to hear “At Last” one more time, I may try to drown myself in a punch bowl. If you have to take requests, access to all music becomes a need, not a luxury. Underground DJs. More at the CDM end of the pond, you’ve got DJs who are trying to discover new music. Tidal might not be so relevant here, but SoundCloud sure is. If you routinely tab back and forth between SoundCloud and your DJ app, integrating the two might have appeal – even for underground digital diggers. The question of what DJs in each of these groups would want to do with streaming also varies. There’s discovery – some people are looking to play tracks on their digital DJ decks without first downloading, or for integration of streaming sites. There’s playing in actual gigs, with a live Internet connection. Then there’s playing gigs where you don’t have an Internet connection – more often the norm – where you might want tracks from a streaming collection to be synced or cached to storage. Amsterdam Dance Event last week tends to center on the business of electronic dance music, so it was a stage for some of the players to crow about new achievements – even making some of those announcements before the solution is fully available. 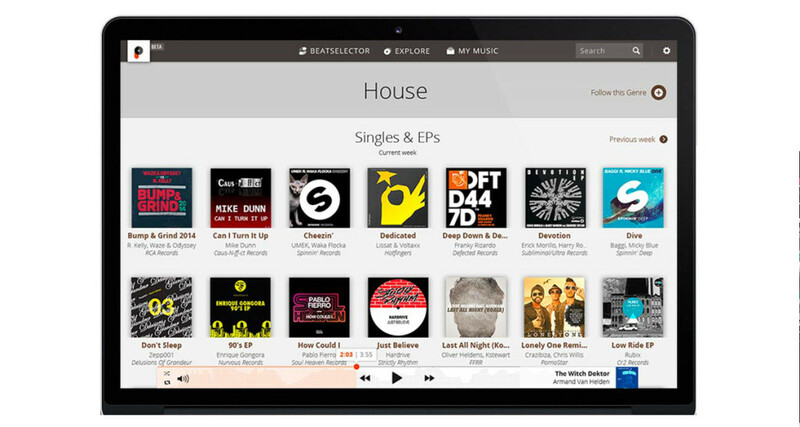 In particular, DJ software maker Serato and streaming site SoundCloud were vocal about their coming solutions. These solutions are online only. Let’s start with the big disclaimer. Downloads are here to stay for now, because these services work only when online, and standalone decks are left out. Streaming tracks are fully integrated – I’ve confirmed that at least with Serato, who say when you’re connected, the tracks cache and perform just like locally stored tracks. But that’s when you have an Internet connection. Pulselocker, the service specifically focused around this idea, had offered the ability to store tracks locally. None of these integrations offers offline access, at least initially. I’ve been told by Serato that if you lose an Internet connection mid-track, you can at least continue playing that track; you just lose access to other streaming content. Wedding DJs or some clubs where you can rely on an Internet connection I expect will take advantage of streaming functionality right away, for DJs who take requests. For DJs who prepare music in advance, though, it’s probably a deal killer. And Serato are leading the way with Tidal and SoundCloud integration, replacing their existing Pulselocker functionality. There’s reason to pre-announce something here, though, which is to try to steal some thunder from some market leaders. Beatport and Pioneer are of course dominant players here. We know both are readying solutions – Beatport making use of that aforementioned Pulselocker acquisition, presumably. We just don’t know when those solutions will become available; Pioneer CDJ hardware in particular is likely fairly far into the future. Just don’t underestimate the Serato/Tidal combo, or even Serato/SoundCloud. Those are big partnerships for the US market and genres like hip hop, both of which are big and growing. DJ compatibility is a way to sell you subscriptions. Yes, artists and labels get paid, but there’s another factor here – DJing is becoming so widespread that it’s a way to upsell music subscriptions. DJing really is music consumption now. Use Traktor, Serato, Virtual DJ, Mixvibes, and others? SoundCloud hopes you’ll buy a top-tier SoundCloud Go+ subscription. Using Serato, and want to play some top hits in high quality? Tidal can offer Premium (AAC) or HiFi (including lossless FLAC and ALAC streaming) tiers. In case you doubt that, both services will work with full integration using just a 30-day trial. SoundCloud quality is improving. SoundCloud Go+ recently added among its other perks 256kbps AAC audio – so higher quality streams. That offering extends to DJ software integrations, and represents a big step forward from previous 128k streams (which are notably compressed.) [Correction:] This story incorrectly listed SoundCloud as limited to 128kbps, citing a DJ Tech Tools story. SoundCloud confirms that 256k AAC is now available. Yes, streaming DJs could represent a new revenue source. This is one potential bright spot here on the creator side. Assuming you can reach DJs who might not have purchased downloads on Bandcamp, Beatport, and the like, the streaming sites will divvy up those subscription fees and calculate revenue sharing for track plays by DJs. It’s easy to assume this is all meaningless. Serious DJs playing big club and festival gigs – or even underground DJs playing with dodgy Internet connections and meticulously organized USB thumb drives of USB – you’re obviously not going anywhere near this when you play. And those DJs taking requests at weddings and playing the latest dancefloor megahits, well, that’s relevant to you only if you’re producing those kinds of hits. But there remains some potential here, even with these launch offerings, whenever they do materialize. If this gets more people on premium subscriptions, there’s hope. It’s better than people listening to your music on YouTube while you get paid next to nothing. The real question here is how streaming integration looks. If discovering new music is really what this is about – at least until fast Internet becomes more ubiquitous – then the integrations need to actually make it easy to find music. That shouldn’t just be about some automated recommendation algorithm; it will require a whole new approach to DJ software and music tools. Or at the very least, these tools should make you want to sit at your DJ rig with some friends, punch up some new artist names and find tracks. They should be as appealing as going to a record store, thumbing through records, and putting them on turntables – in a virtual sense, anyway. And what about ownership? I think it’s important for DJs to be able to differentiate between always-on access to all music everywhere, and their own music collection, even if the collection itself is virtual. Why not put SoundCloud streaming in your DJ app, but offer one-click buying to add downloads? Or why not use the cloud as a way to sync music you’ve already bought, rather than make it exclusively an overwhelming supply of music you don’t want, which you lose when you lose Internet access? At the very least, labels who are already squeezed as it is are unlikely to savor the thought of losing download revenue in exchange for hard-to-track, hard-to-predict subscriptions. $10 a month or so seems utterly unsustainable. A lot of labels already barely break even when they pay for even basic PR and mastering services. Imagine the nightmare of having to invest more just to be found on streaming services, while earning less as flat fee subscriptions are divvied up. There’s an idea here, but it’s far from being ready. For now, it seems like the best strategy is to keep your catalogs up to date across services, keep building close relationships with fans, and … wait and see. In a few months we should see more of what these offerings look like in practice, and it seems likely, too, we’ll know more about where Pioneer, Beatport, and others plan to go next, too.